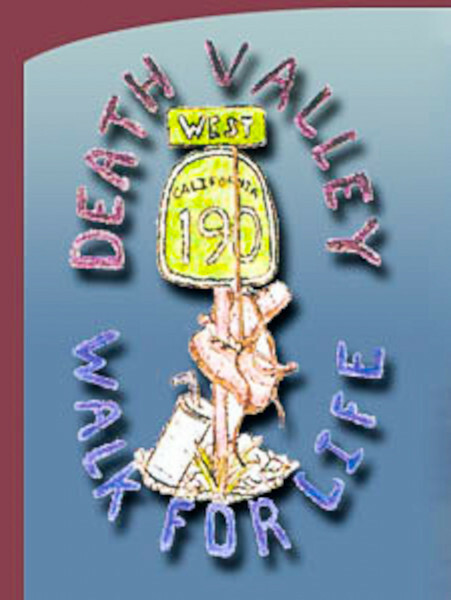 Death Valley's "Walk for Life" was started by local residents looking for a way to cope when their friend, Sharon, was diagnosed with cancer. Being able to help financially is part of the battle, but the emotional support we found was priceless. Looking at our photos, you can tell most of us are not in shape and only watch what we eat to make sure it gets to our mouth! Little did we know that this was the beginning of a way that ordinary people could join together and support friends and loved ones fighting cancer. Months later, when Sharon was declared cancer free, she wanted to help others that were going through what she had. They are a nonprofit organization, which raises funds to support community members, struggling with the consequences of cancer. Funds are raised through bakes sales, raffles and donations from the kindness of people's hearts.